Sat, Sep 8, 2018, 11:42 am SL Time, ColomboPage News Desk, Sri Lanka. Sept 08, Colombo: The Member States of the Indian Ocean Rim Association (IORA) met in Colombo this week and finalized the Terms of Reference (ToR) at an initial workshop held for the setting up of the Working Group on Maritime Safety and Security. 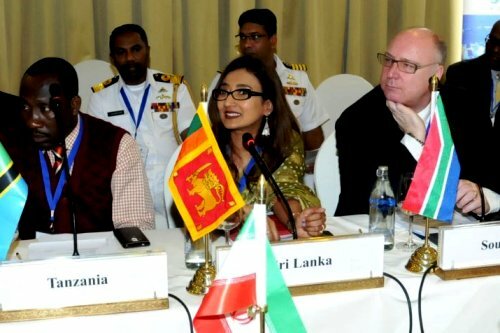 At the 17th Council of Ministers held in Durban, South Africa in 2017, it was decided that Sri Lanka will coordinate the implementation of the IORA Action Plan 2017-2021 on Maritime Safety and Security that includes, amongst others, the establishment of the Working Group on Maritime Safety and Security. The Working Group provides a mechanism for engaging maritime officials and experts across Member States to promote regional cooperation by facilitating practical coordination amongst stakeholders. The finalization of the ToR at the workshop on September 4-5 in Colombo marks an important milestone in the work of the IORA Maritime Safety and Security priority area. The ToR outlines the objectives of the Working Group on taking forward the policy priorities set in the Maritime Safety and Security Area which include among others establishing a common understanding between IORA Members States of the collective Maritime Safety and Security risks, threats and opportunities in the Indian Ocean region; establishing an integrated policy approach on Maritime Safety and Security including through capability enhancement and capacity building; building a partnership within the framework of IORA for the strengthening of capacity and capability as well as institution building in the domain of Maritime Safety and Security; and enhancing Maritime Domain Awareness (MDA) among IORA Member States. The initial workshop was co-hosted by Sri Lanka and Australia, and was co-chaired by Sri Lanka, Australia, India, Indonesia, Madagascar and South Africa. It was organized by the Ministry of Foreign Affairs, Sri Lanka.